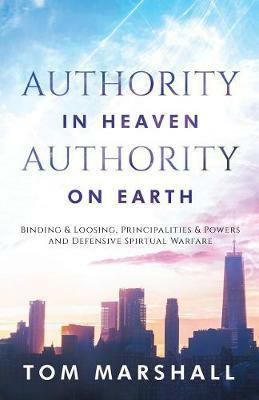 Tom Marshall provides useful pointers to knowing our enemy and recognizing when we are under spiritual attack. He also explains some of the things we may be up against and how we can deal with them by occupying the high ground and building an effective defense system, highlighting what our position is in Jesus. In this book, Tom Marshall teaches what the Bible has to say about covenants and how they are an integral part of the Christian faith. Tom Marshall explains what a covenant is and to what degree they transpired between man and God. He delves into the major covenants in the Bible and deciphers how each one points towards the new covenant that Jesus Christ provides. Relationships matter! They are at the heart of all good and bad human experiences. First, our relationship with God needs to be in order. For then it is possible to apply godly principles to the establishment of right relationships with others and the restoration of relationships that have gone wrong. This life-giving book will show you how this can become real for you. It not only addresses the nature of relationships and the factors which make them work but also provides dynamic and well tried solutions for those that have gone wrong. The scriptural truths in this book are eternal keys to us fulfilling our human destiny. Right Relationships has been universally acclaimed as one of the best treatments of this subject and has become a standard textbook on relationships worldwide. In this book, Tom Marshall helps the reader understand attributes of trust and its counterpart distrust, and teaches us how we can put our trust in others. With practical, Biblically supported applications he helps you restore broken trust in your life.